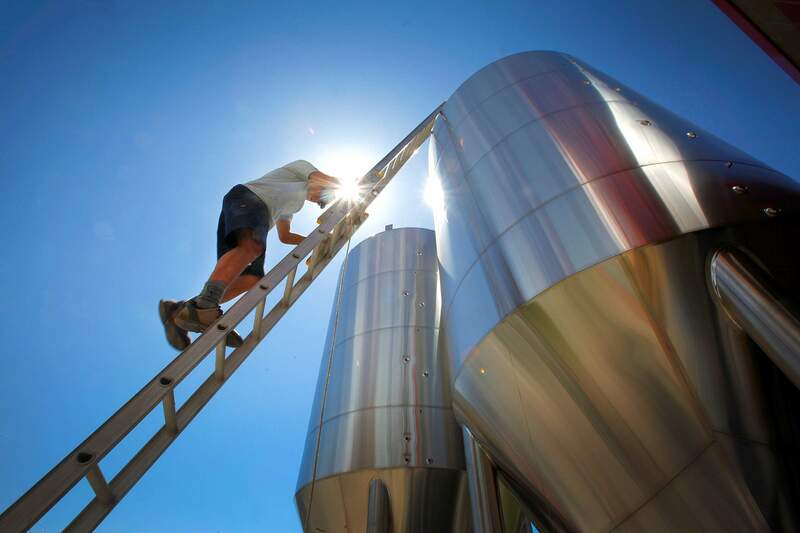 Kristofer Pleszewicz climbs down a ladder against a 240-barrel fermenter at Ska Brewing Co. in Bodo Industrial Park. Colorado Sens. 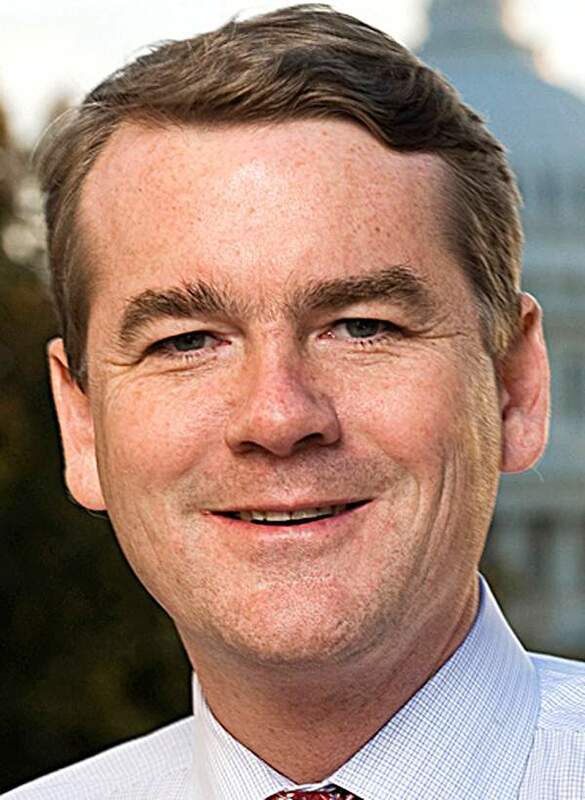 Michael Bennet and Cory Gardner introduced legislation to try to make permanent a tax cut for craft breweries, distilleries and wineries. Colorado Sens. 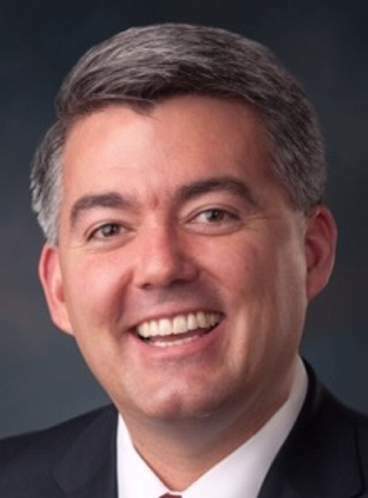 Michael Bennet and Cory Gardner have introduced legislation to provide a permanent tax reduction for America’s craft breweries, distilleries and wineries, a rare example of bipartisanship in today’s divided Senate. Under the bill, small, domestic breweries would be eligible for a tax rate of $3.50 per barrel of beer, roughly 31 gallons, a decrease of 50 percent compared with the $7 per barrel rate of 2017. Craft beverages have become a powerhouse industry in the past few years. The craft brewing industry contributed $76.2 billion to the U.S. economy and more than 500,000 jobs in 2017, according to a study by the Brewers Association. In Colorado alone, the state’s 350 independent breweries employed more than 20,000 people, Gardner said. “Fostering economic opportunity for beverage producers in Colorado not only strengthens our small businesses, but also has far reaching effects for their employees and the communities they serve,” Bennet said in news release. The bill would replace temporary provisions enacted in late 2017 that are set to expire at the end of 2019. Establishing permanent tax reform will lift a cloud of uncertainty from smaller breweries, said Andres Gil Zaldana, executive director of the Colorado Brewers Guild. Otherwise, independent breweries would “have to fight to renew every few years, and that doesn’t do anything to help anyone in planning,” he said. The tax reduction came at a time when competition among breweries increased and profit margins began to shrink, according to many Colorado breweries. “Making this permanent is the right thing at the right time,” Zaldana said. Dave Thibodeau, co-founder and president of Ska Brewing Co., said the temporary tax reductions arrived when the 24-year-old brewery was struggling to compete with the influx of new craft companies. But the permanent reauthorization of the tax reform would allow Ska to focus more resources on selling beer, including hiring new employees. “There’s two to three more jobs in 2018 than what we would have without that reform,” Thibodeau said. Ska Brewing isn’t alone. Other Durango and Cortez craft beverage companies have reported an increased flexibility in product creation and the ability to hire new employees. “We were able to hire a few positions that I felt were sorely missing, a little bit higher-wage positions,” said Bill Graham of Peach Street Distillers in Palisade. Opened in 2005 by Thibodeau and Graham, the distillery was already well-established before the tax reduction was introduced in 2017. But last year, the company had the funds to hire a national sales manager where previously, “we couldn’t approach the salary to hire that type of person,” Graham said. As one of the oldest craft distilleries in Colorado, Peach Street did not need the flexibility to create new spirit formulas. “(But) for another distiller that is younger, it would be a way to open the door,” Graham said. Smaller microbreweries, like WildEdge Brewing Collective in Cortez, have not necessarily felt the same economic benefits from the tax reform. Robinson said WildEdge’s output is not necessarily high enough to accumulate measurable savings in the past two years. The brewery produced 250 barrels in 2018 and plans to brew 300 barrels this year. Colorado’s craft brewing industry had the highest economic impact per capita out of any state’s brewing industry in 2017, roughly $764 per Coloradan 21 years and older, according to a Brewers Association report. The report combined the total money spent at breweries, wholesalers and retailers and the jobs the craft businesses provided. With such a large economic impact, Colorado’s senators remain invested in the continued growth of the industry. 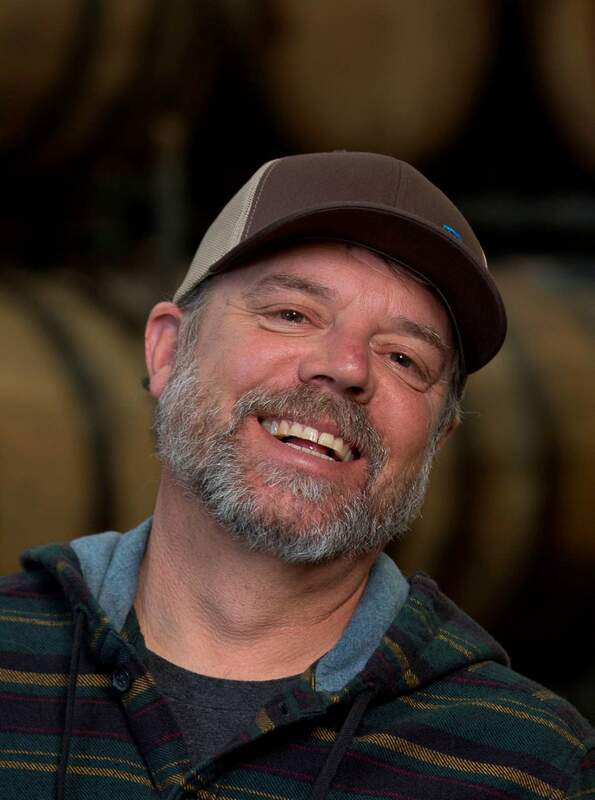 “Passing this bill will help small brewers and distillers to grow, create jobs and boost communities across the four corners of Colorado and throughout our country,” Gardner said in a statement Feb. 6. With such clear-cut economic benefits, Durango and Cortez brewers remain optimistic that the permanent tax reform bill will pass. “It’s totally bipartisan, there’s no politics to it. It’s good for everyone,” Thibodeau said.